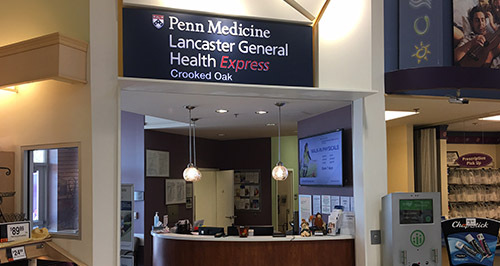 LG Health Express is Located in the GIANT Food Store on Lititz Pike in Lancaster. There is a separate entrance to our office to the left of the main entrance to GIANT. We’re open 7 days a week with extended hours.